“HELL HOLE . . Bureau of Correction officials admitted before the House appropriations committee that 60-70 prisoners escape every year. Yes, that many. Also admitted was the kidnapping of wealthy relatives of prisoners after visiting the inmates. We wrote earlier that many prisoners are let out to do gun for hire murders and also, the P1-billion drug business operating from within NBP. Grabe. This implies the presence of syndicates operating inside the NBP involving some prison officials. Escapes like deaths in hospitals are inevitable. We blame hospitals if deaths occur as a result of negligence. In prisons, escapes occur, although a portion can be blamed for negligence but the rest are inextricably complicated. Most escapes come from the ranks of those prisoners who have served majority of the judicially prescribed time and whose sentences are about to be completed in a year’s time. There were even prisoners, waiting for a few days before receiving their discharged papers but would still escape! These are prisoners classified as Minimum Security Status and are eventually designated in areas where light security provision is applied as part of transition exposure from a highly institutional regimen to a lesser regime simulating free community condition. This is where escapes happen. The bulk or volume of this specific prison violation happen on this sector. Cause of escape among minimum security prisoners has something to do with fear of being dragged into further controversy. 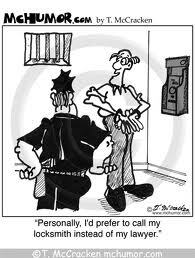 Before a prisoner is to be released, he is oftentimes a recipient of bad news coming from his family and friends. Accordingly, he would receive information that his wife has “sumakabilang bahay na. (a pun on the term sumakabilang buhay)” At times, he would escape a creditor who pressing for immediate restitution of his loans may file a complaint and frustrate his release. These escapees are nowhere near the dangerous side. They have learned their lessons, they hated crime and they would rather retreat on the farthest side of the free community to live peacefully. Escaping from maximum security facilities is an entirely different situation. Those who are classified under maximum security status must be treated with serious concern. If there will be escapes from this rank then there is something wrong somewhere. This is where an investigation should be conducted. Escape in the maximum security wing in prison is almost next to impossible. A maximum security prisoner may be missing, possibly grounded to a pulp and flashed in the toilet, buried somewhere in the garden or melted through smuggled acid but never to breach the multilayered fence with multi guarded gates. If a prisoner suddenly disappeared and successfully has broken out of the area into the free community—-like what happened with the recent escape of a maximum security prisoner Romel Laciste—then this should require a deeper probe on the qualification and competence of prison security administrators. As for the kidnapping of inmates’ relatives, there is still an on-going probe on its basic linkages . If at all there is a connection, it is again in the failure of prison administration to annihilate gangs in the prison camp. Gangs supply the necessary details and information, the resources, the plans on how to mulct someone more so those whom they could observe inside. Gangs have the network, the muscle, influence, resources and the necessary bold front to conduct an abduction shake up. Gangs are emboldened to operate with tenacity if prison administration loses control of the prison camp. Any concession (or privilege) successfully haggled by gangs is an indication of failure to control by security administration. As to the suspicion that gun-for-hire are drawn from prisoners who are allowed to do hit job is more imagined. This situation may probably be obtained in local jails especially in facilities run by local government but not in national prisons. Hence the need for a legislative policy to integrate all corrective institutions under one agency. Drug operation by prisoners inside their respective dormitory is a creative endeavor that requires an equal amount of creativity among prison officers. Drug smugglers are a step ahead of law enforcers on the matter of distributing and circulating drugs in and out of the penal facility. Prison has as yet to catch up with technology and procuring the necessary gadgets to corner this malady. The most that could be done in this situation is to declare money inside prison as contraband. Without currency in circulation, where chips and coupons used, illegal drugs merchandise will fade. Posted on September 1, 2012, in Uncategorized and tagged politics, security prisoners, security provision, wealthy relatives. Bookmark the permalink. 1 Comment. Thanks for sharing excellent informations. Your web-site is so cool. I am impressed by the details that you have on this blog. It reveals how nicely you perceive this subject. Bookmarked this web page, will come back for more articles. You, my friend, ROCK! I found simply the information I already searched all over the place and just couldn’t come across. What an ideal website.